Saltese Cemetery is one of the oldest cemeteries in the valley. The name Saltese derives from the Coeur d'Alene Chief Andrew Seltice who sold this piece of land, known now as the Saltese Flats, to Daniel Courchaine in 1878. Burials began here as early as 1881 with the earliest birth date shown going all the way back to 1819. It is very likely that there were burials located here before 1881, but the graves would have been unmarked. Daniel Courchaine is buried in the Saltese Cemetery. He built his home from lumber hauled in from the nearest mill in Walla Walla. The Courchaines were farmers, but their preferred interest was to raise cattle. Daniel donated land for the Saltese school to be built and was a founder of the Saltese Cemetery. He passed away after being kicked by a horse, but a monument was placed in front of the still standing house that he built, commemorating this early pioneer. Many of his descendants still live in Spokane Valley. Cemeteries help us connect the present with the past. The weathered headstones offer a glimpse into pioneer life and migration into the Spokane Valley. This cemetery, however, is not neglected or forgotten. The Saltese Cemetery still stands today and continues to grow with the surrounding communities. Today the families of the Saltese Cemetery Association continue to maintain and improve the property. 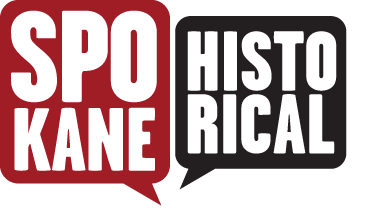 Saltese Cemetery is a pioneer cemetery which means that it is a burial place made available for individuals that participated in territorial expansion in the 18th through 20th centuries. 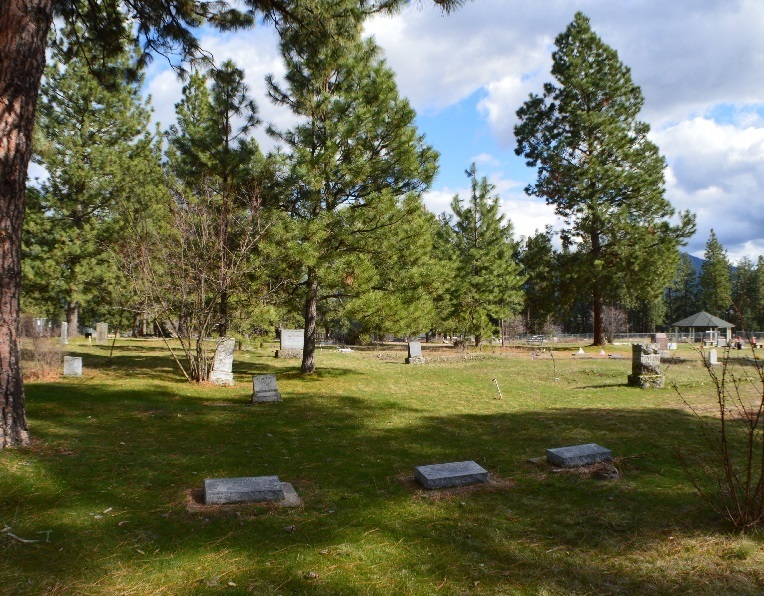 Plots that are still available today are to only be sold to valley residents and their families so the burial sites can be cared for by the families. 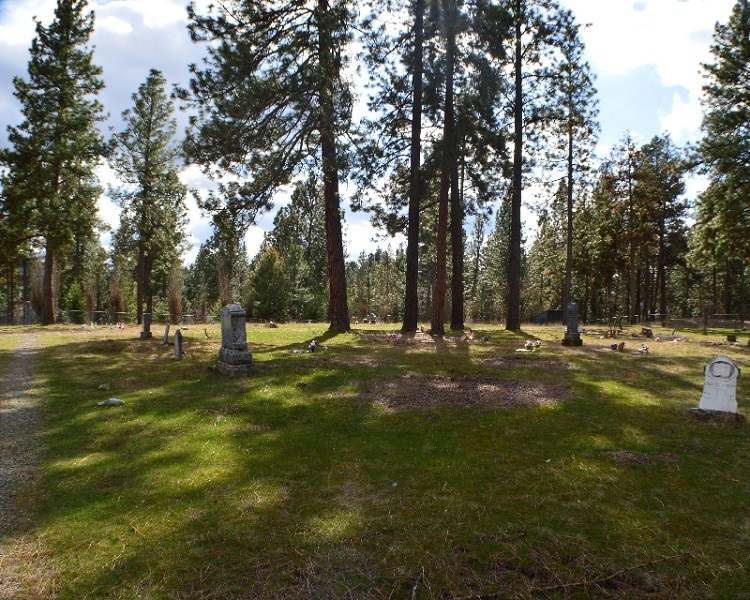 The cemetery features tall straw colored grass, sparsely laid pine trees, on an unlandscaped hillside with 19th century iron fencing still surrounding some of the older plots. 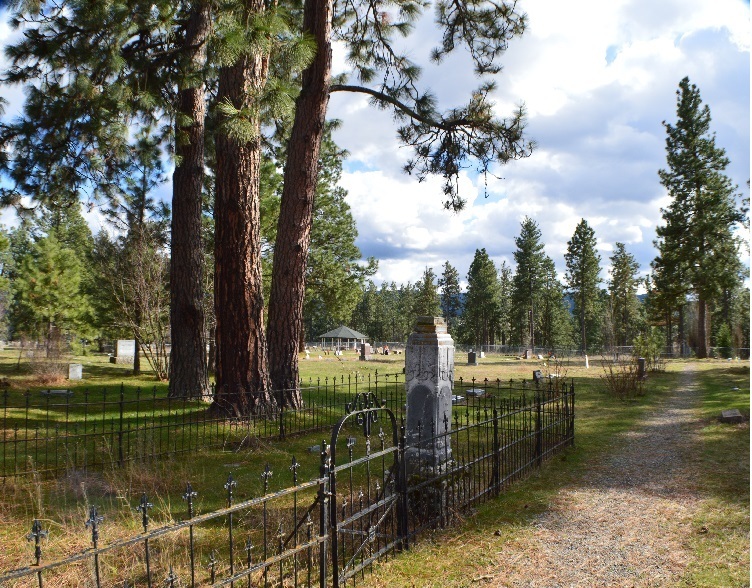 Saltese Cemetery: Minutes away from the active Spokane Valley lays the peaceful Saltese Cemetery. Bursts of color from the flowers of loved ones still grace the Image courtesy of RaeAnn Anderson. Saltese Cemetery: The tranquility of the area has let the deceased rest in peace for over a hundred years. Image courtesy of RaeAnn Anderson. Saltese Cemetery: The Courchaine family has been buried at the Saltese Cemetery since its establishment. Large headstones and modest markers are positioned gracefully within the cemetery today. Image courtesy of RaeAnn Anderson. Saltese Cemetery : Iron fencing from the 19th century outlines and protects the plot within the cemetery. Image courtesy of RaeAnn Anderson. 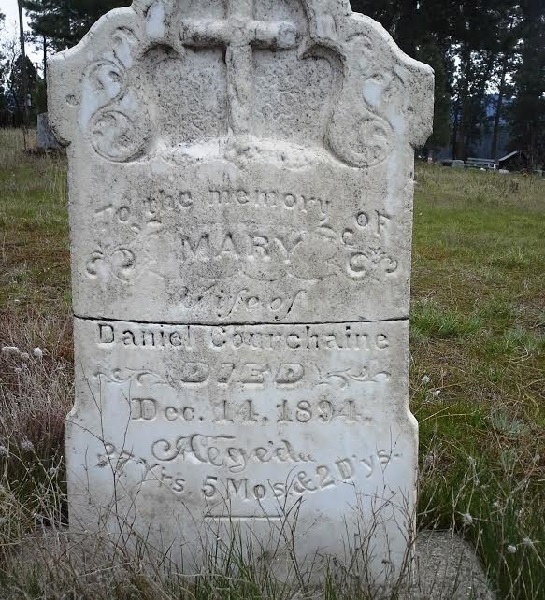 Mary Courchaine's Tombstone: The wife of a pioneer Daniel Courchaine, Mary Courchaine's lightly weathered tombstone still stands in the cemetery today. She helped to establish the cemetery. Image courtesy of Spokane Valley Heritage Museum. 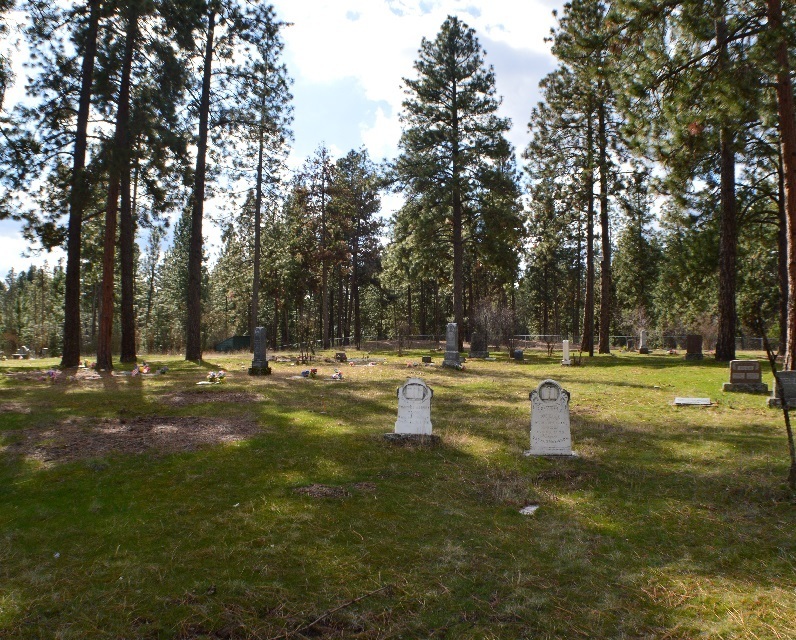 RaeAnn Anderson, “Saltese Cemetery ,” Spokane Historical, accessed April 21, 2019, https://spokanehistorical.org/items/show/525.